The marine reserve of Cerbère-Banyuls is one of the oldest marine protected areas of the Mediterranean. Created in 1974, is managed by the Department of Pyrenees-Orientales. 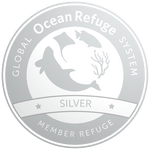 Due to its significant ecological richness and its effective management, the marine nature reserve of Cerbère-Banyuls is classified since 2014 on the green list of protected natural areas of IUCN. On the edge of the rocky coast of the Eastern Pyrenees, the Natural Marine Reserve of Banyuls-Cerberus covers 650 hectares of sea and stretches 6 kilometers from shore until mile and a half offshore. Protection is reinforced in the southern part of the reserve at Cape Rédéris, where all taxes, dips or anchors are prohibited, except those inherent in the progress of scientific studies approved by the Advisory Committee of the reserve. This area, with an area of ​​65 ha, materialized at sea by two bright yellow tags of 8 m3, down by two other yellow markings applied halfway up against the cliff. This area is the largest area of ​​protected area, about 600 ha, where human activities are regulated, such as fishing, and other prohibited as spearfishing. The area is bounded by sea in the same type of tags as before but a higher volume (12 m3). On land, between the port of Banyuls and Cape Peyrefite several signs at the main access to the sea and views, reminiscent regulations and inform the public. Between 15 and 30 m depth, the seagrass Posidonia, a key Mediterranean wealth, undulate with the currents. These aquatic meadows, true nurseries, home to various species of fish, octopus and sponges. So saupe, bream and bream for some, hippocampus speckled, little star sheriff, large cicada sea and Pinna nobilis for others, live together in peace. Spirograph tunicate and hold the role of screener. The submarine prolongation is done with the stratum of the coralligenous, middle popular with divers who are more than 500 invertebrates. Thus, the purple sea urchin, the Dalmatian stone dory and sponge fields colonize gorgonians and red coral. Kingdom of colors and forms, it is also the area of grouper, moray of, the scorpion ... that prefer rocky bottoms while the white line, the torpedo, monkfish ... live clad in soft and muddy and coexist with bats and stargazers. More rarely, shark pilgrim, the bottlenose dolphin and loggerhead turtles frequent the area off the coast. A trail marked submarine to discover this rich and diverse ecosystem clocking area equipped with flippers, mask and snorkel.